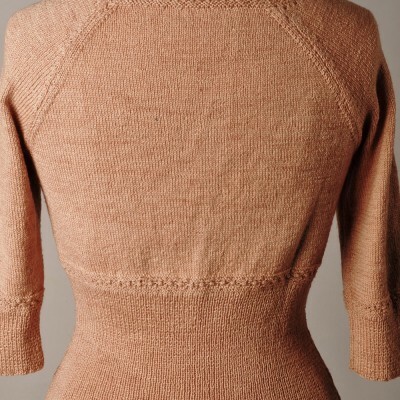 Persuasion is a fitted, square-necked cardigan (named after the Jane Austen novel I was reading when I finished knitting it!) 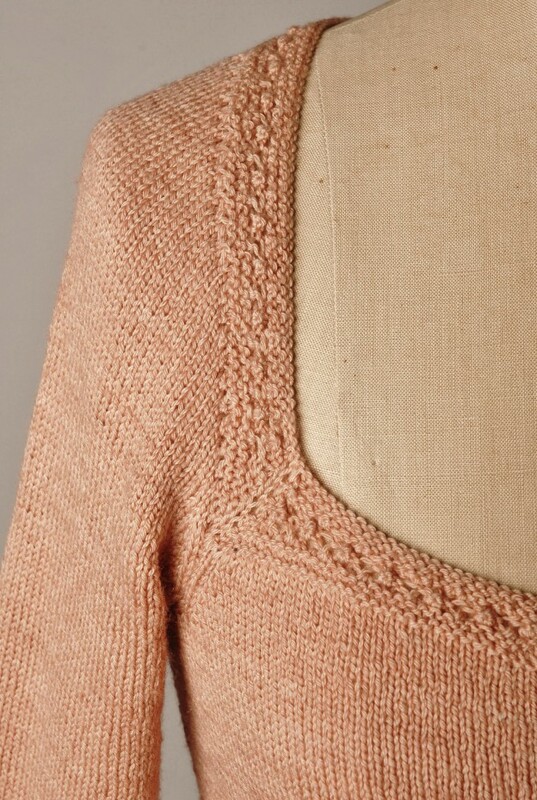 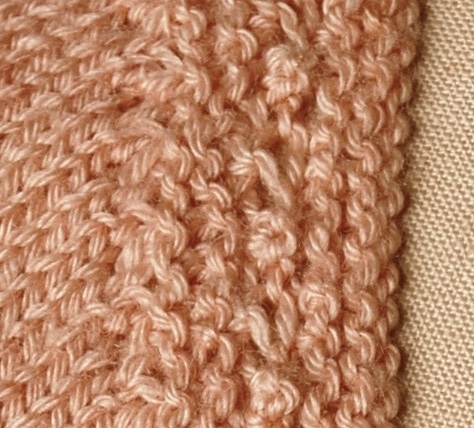 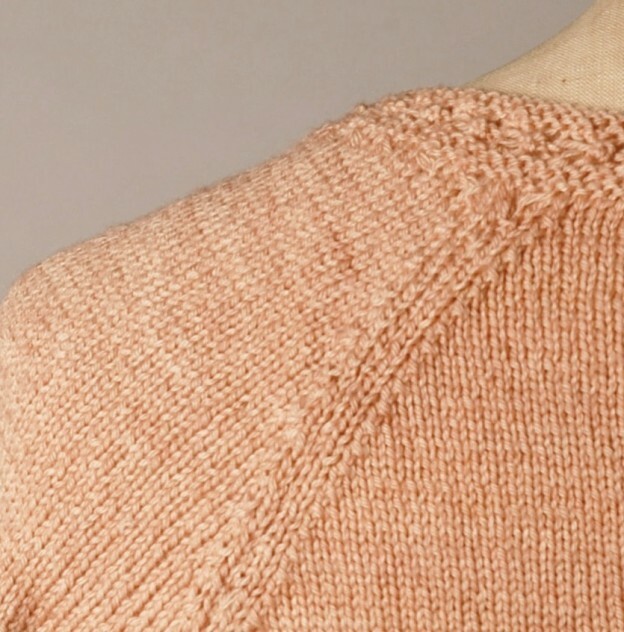 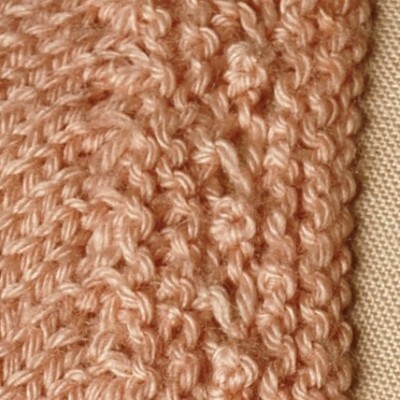 and was designed to continue the theme of A Handknit Romance – of vintage-inspired knitwear. 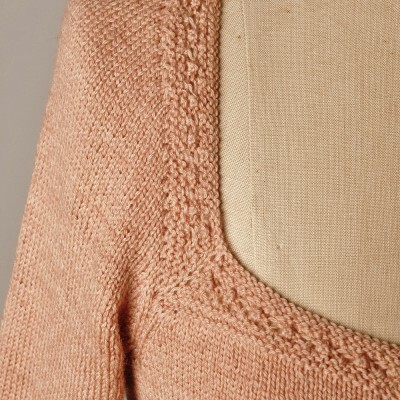 As seen in these images, it looks equally good worn buttoned-up as a pretty, lightweight top, or worn as a cardigan over a dress or camisole such as the knitted Lace-edged Camisole from the book (with the lace edge peeping over the square neckline). 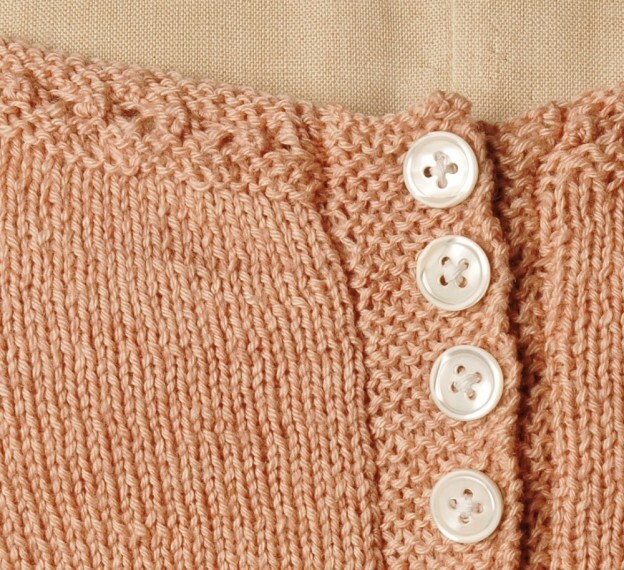 The cardigan has a deep, shaped rib and raglan sleeves (the pattern includes both 3/4 length – pictured here – or full length). 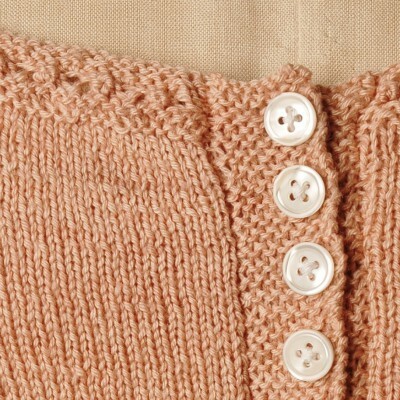 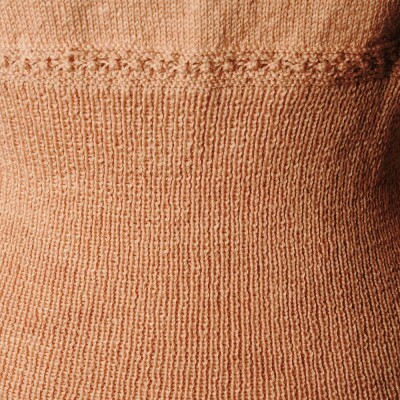 Knitted mainly in stocking stitch, decorative interest is provided by a simple cluster stitch around the neck edge, under the bust and around the sleeves; fully-fashioned shaping, and the closely-placed shell buttons at the front opening. 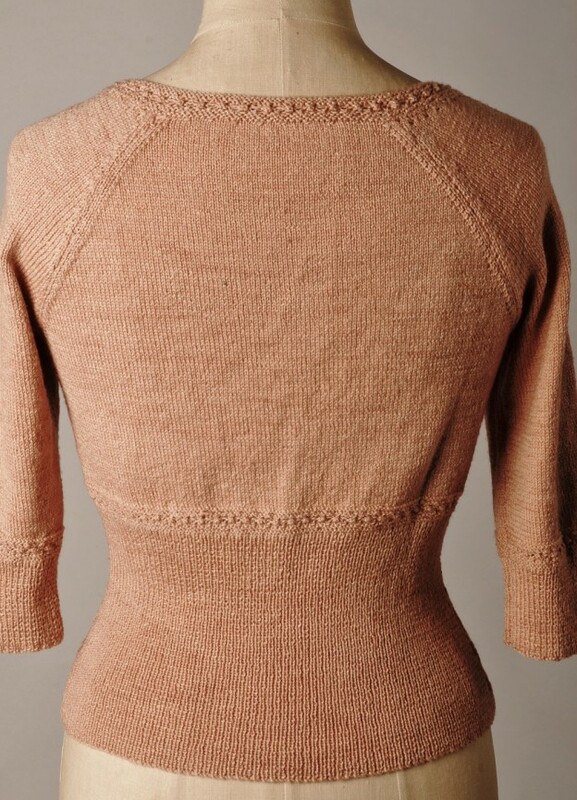 Yarn: The cardigan is knitted using Soliloquy sock lace – a 3ply 80% merino wool/20% silk mix yarn (600m per 100g) available from Tall Yarns. 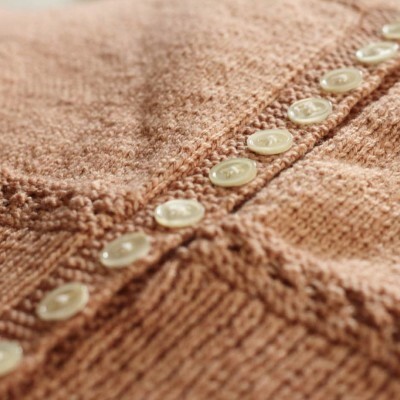 Sizes & yarn quantities: The pattern gives instructions for sizes 28-30ins, 32-34ins, 36-38ins, 40-42ins (71-76cm, 81-87cm, 92-97cm, 102-107cm), using 3 (3:3:3) x 100g skeins for the long-sleeved version, 2 (2:3:3) x 100g skeins for the short-sleeved version. 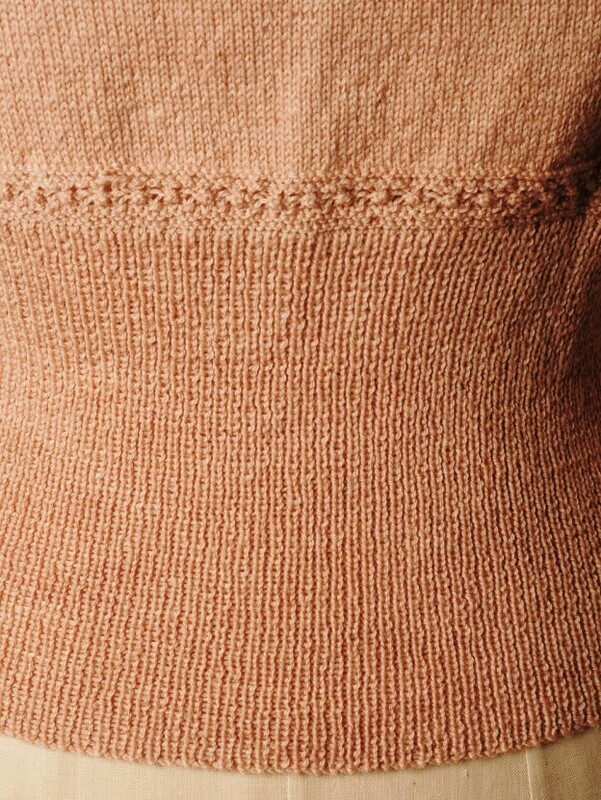 Needles etc: pair of 2.75mm (US 2) needles, approx. 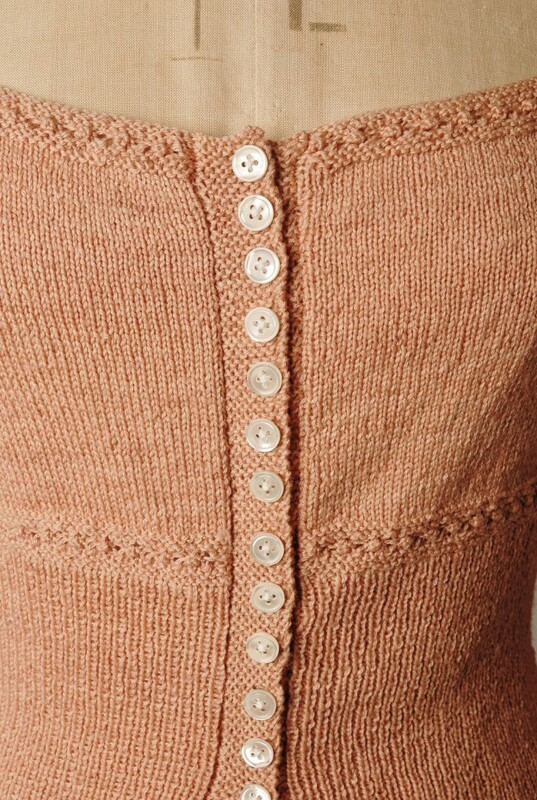 16 – 22 (depending on size) x 11mm buttons.